A wave of mass layoffs of journalists swept across the United States, who are now wondering what is the reason for this great purge. 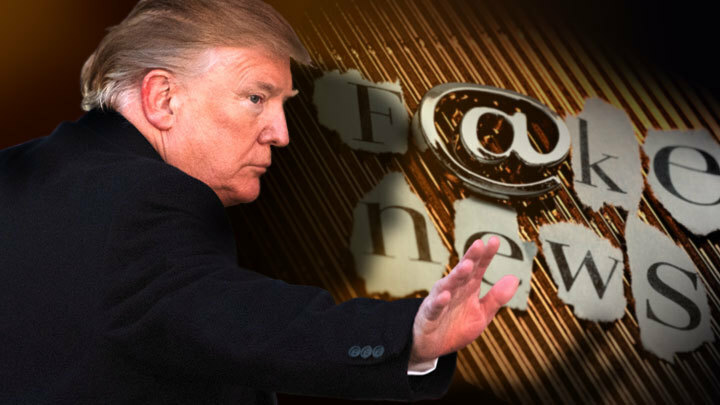 President Donald Trump delivered his version: the so-called fake news is to blame for everything. How right is he? It all started last week, or more precisely, on January 23. Many major US media have announced large-scale layoffs. The first to lose their jobs were journalists from the popular BuzzFeed and The Huffington Post. In total, about a thousand employees of these media almost simultaneously joined the ranks of the unemployed. Cuts are also expected in dozens of not so large media outlets, for example, in units of the Warner media holding. Employers explain the layoffs by restructuring. Journalists have their own version - they declare funding problems due to a reduction in advertising revenues. They address claims specifically to the monopolists in the advertising market - Google and Facebook. The situation has already commented and US President Donald Trump. In his Twitter, he said that the journalists themselves are to blame for everything because they are guilty of producing "fake news". The media found out about the dismissals in the Huffington Post from the employees themselves, who began to tell about it on Twitter. According to the official version, the reason lies in the large-scale restructuring of the giant Verizon, which owns this edition, and the services of Yahoo and AOL. The current purge assumed the dismissal of about 7% of employees of companies belonging to Verizon. In fact, this resulted in the simultaneous expulsion of the 20 leading employees of the Huffington Post from work. That same day, the Wall Street Journal talked about future layoffs in another popular media outlet — BuzzFeed, which specializes in all sorts of hot news, focuses mainly on young people and has a significant advertising budget. According to sources, the reduction may affect about 250 people. The company really seeks to reallocate its resources in order to invest more in such promising areas of business as content licensing and e-commerce, one BuzzFeed employee said. Layoffs began two days after the "announcement" in the Wall Street Journal. Layoffs are expected in other media. The restructuring was announced by the Gannett holding, which owns hundreds of small publications in the USA. It announced the dismissal of 400 people. The reduction of the staff goes to the Warner Media holding, which closes the whole division on digital projects. The Wall Street Journal writes that across the industry, online media owners tried to maintain rapid growth in digital advertising sales and meet high investor expectations, as they are under crushing pressure from the advertising market monopolists - Google, Alphabet and Facebook. The less money brought advertising in these media, the more difficult it was to compete with global IT giants and maintain a large staff of journalists. Upon learning of the cuts, the president of the United States immediately responded in his favorite manner. Trump has long criticized the American media for false news, juggling of facts and unfair work. And he did it not without reason. Many media in the United States simply lost their sense of proportion, endlessly speculating on Muller’s investigation of Trump’s supposed connections with Russia and the “Russian threat”. In fact, the owner of the White House is not so wrong in what he says about the American media. Those of them who conducted mass reductions still do not understand that in the battle for advertising revenues they retreated very far from the ideals and values of journalism and, among other things, are generally sailing in the same boat with Google and Facebook. According to ABC News, on Tuesday, January 29, EU authorities issued a warning to leading technology companies, including Facebook, Google and Twitter. They are instructed to intensify efforts to combat fake news ahead of the parliamentary elections in Europe. That is why the US president is not so far from the truth, criticizing the frantic propaganda of the media in his country. Many authors do not even hide the fact that they are pursuing the goal of revolting the American public as much as possible in order to "tear down" Trump from his post as head of state. At the same time, the genuine joy of the President of the United States is also an attempt to shift the problem from a sore head to a sick one. After all, the reason for the layoffs is not in fake news, but in the fact that even their distribution does not give such incomes today that would allow online media to compete with the advertising budgets of leading market players. Trump makes a simple choice: joins the general flow of propaganda. But, unlike journalists, he does it not for the sake of profit and successful competition, but simply to save his reputation.